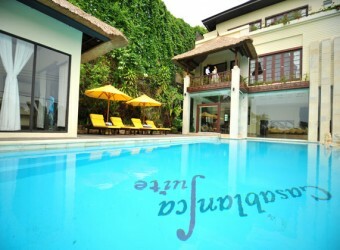 Bali Hotel Casablanca suite located Jimbaran area which raising popularity area in Bali. The villa build in 1,050㎡ huge site and offer 4 luxury bed room. At the garden you can see beautiful tropical flowers that make you feel special moment. They also provides wedding party and any other important event.